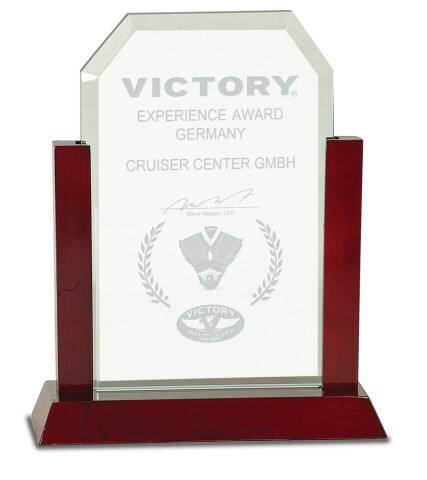 Please browse through the other fly-out pages under Corporate/Glass to find your perfect glass award. 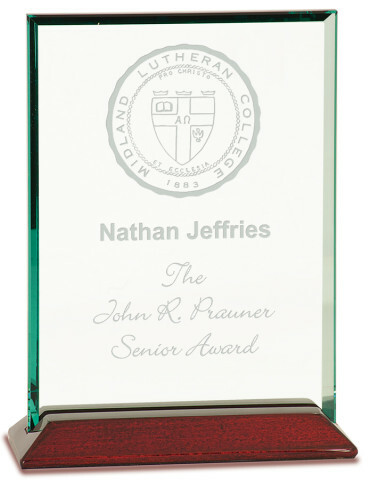 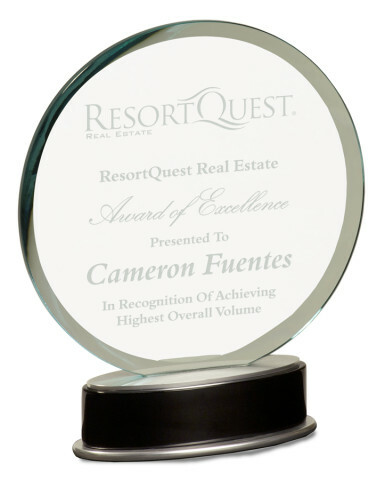 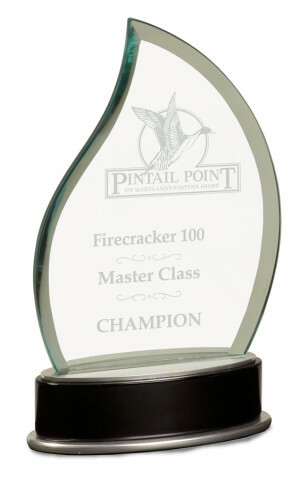 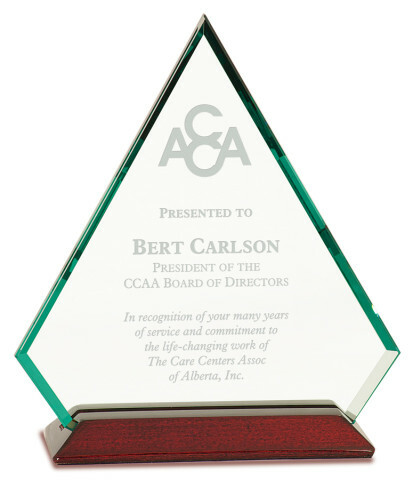 While often less expensive than crystal, glass awards are also quite elegant. 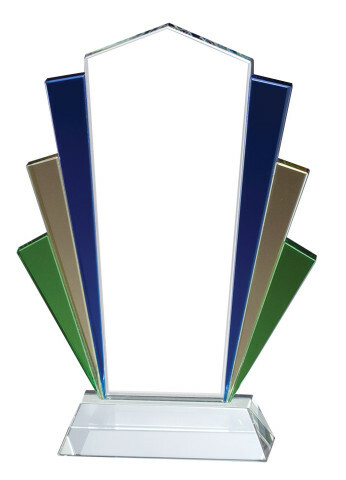 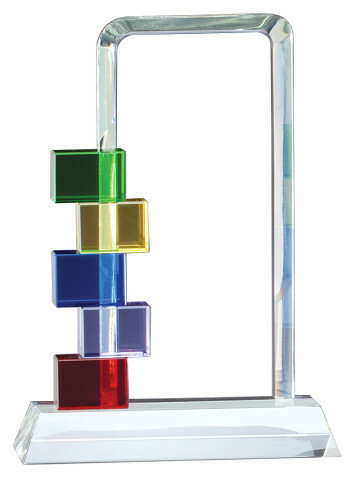 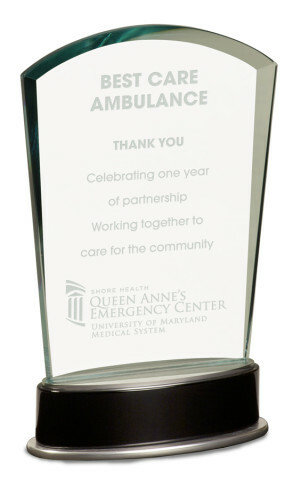 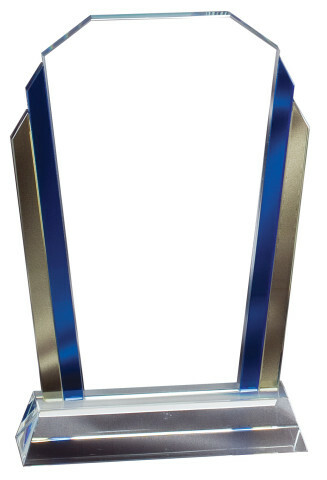 Glass awards are available in many sizes, shapes and colors. 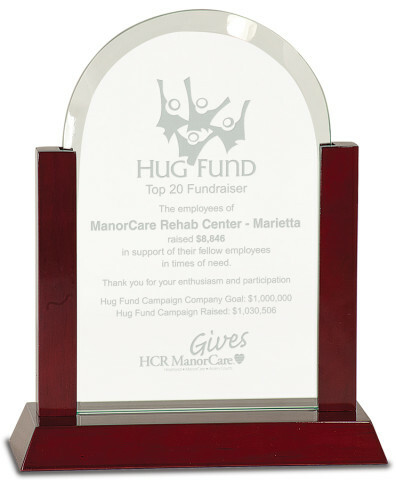 Your beautiful glass piece can be laser engraved or sand blasted with your text. 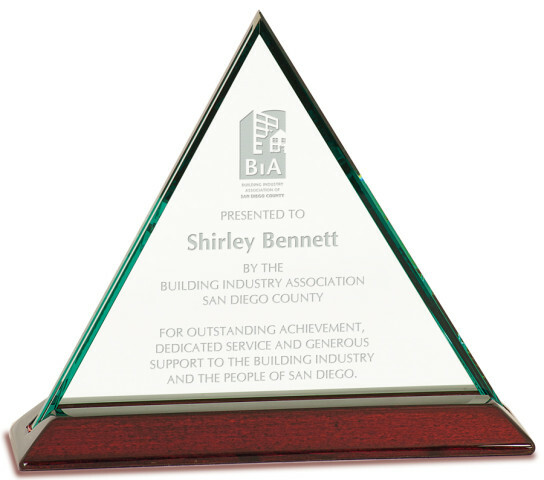 Your custom logo or graphic can be included if you provide a high resolution vector art file. 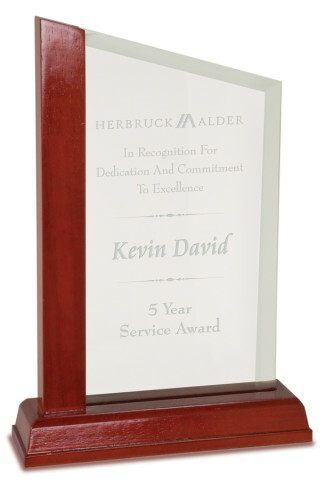 Simple art proof service and laser engraving are included. 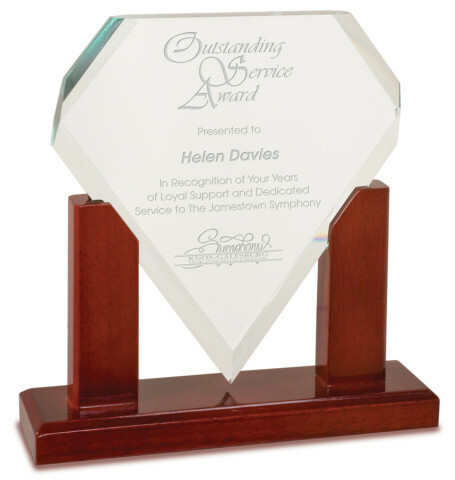 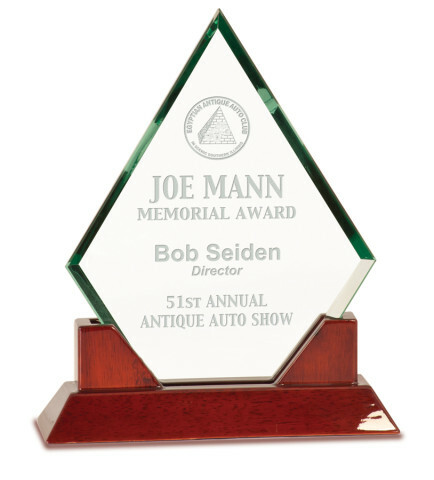 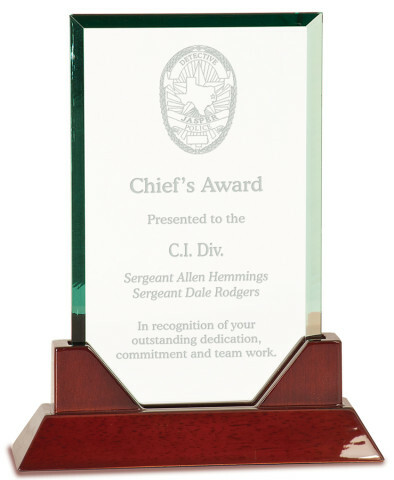 You can be assured you will be proud to present your glass award, and it will be received with great appreciation! 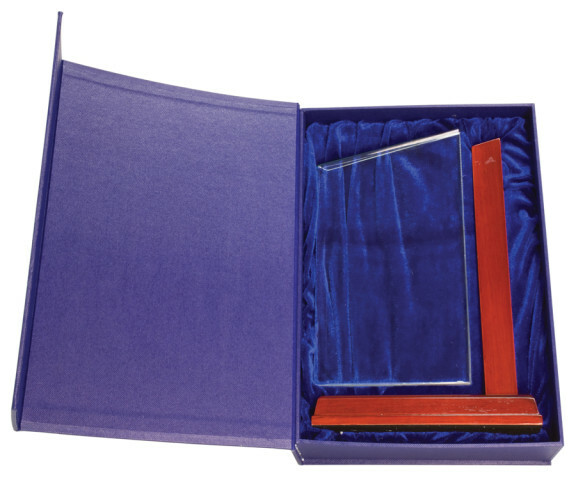 If you don't see the award you have in mind, please let us work with you to provide the one that will fill your requirements.